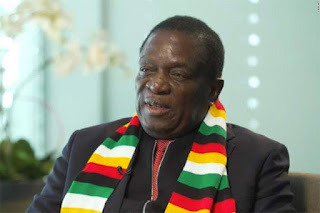 PRESIDENT Mnangagwa has said he was shocked to learn that the country has more than 100 political parties that want to contest this year’s harmonised elections. Addressing journalists during a press conference on the sidelines of the 5th CEOs Round Table meeting in Victoria Falls last night, President Mnangagwa reaffirmed Zanu-PF’s commitment to free and fair elections saying the revolutionary party would not worry about threats by some opposition parties to boycott elections. He said the elections would be held between July 31 and August 22 in line with the Constitution which provides for the polls to take place within 30 days of the end of the incumbent Head of State’s term. President Mnangagwa, who is also Zanu-PF’s First Secretary, said he would still meet opposition political parties’ leaders over the upcoming elections but will not lose sleep over those who would want to boycott the polls. “I thought I will be meeting between 8 and 15 (political parties) so I cancelled the date so that I really find out if it is true that there are 108 political parties in the country. I must check on that and perhaps find criteria on who must come and say if you are a political party come to the table,” he said. Commenting on threats by some political parties who have intimated on boycotting elections, President Mnangagwa said that is not an issue as opposition parties are always antagonistic. “The opposition is there to oppose. Whatever you do they have to find a reason to oppose it but that doesn’t worry me. I will not lose sleep over those who would want to boycott because that’s a democratic decision. President Mnangagwa said the process of amending the Electoral Act would soon be completed as discussions are currently underway in Parliament. Turning to proclamation of the date for elections, he said: “The current Constitution is different from the old one. In the old Constitution you could hold elections six months before the end of term of office or six months after but the current constitution says elections can be done 30 days going backwards.